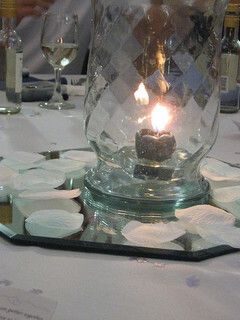 There were a lot of centerpieces using mirrors a few years ago, they were incredibly fashionable at the time. Then like most other wedding trends they went away and almost looked dated which is a real shame as they add a real sparkle to a table. So you can imagine how excited I was when visiting a luxury wedding show last month and there they were again, only bigger! And by bigger I mean the whole table was one big mirror, it looked amazing with a large vase in the center with flowers and ivy cascading down and candles dotted around. The problem I have with this kind of centerpiece and table decoration is that it looks amazing but it comes with a big price tag. 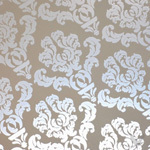 Thankfully you can achieve a modern looking decoration without it costing you a fortune and the key is sparkle. Mirrors are great for reflecting and adding light into the room especially if that light is candlelight. You could put any mirror on a table, place a candle on it and you have instant sparkle. The question has to be where can you find cheap mirrors? Renting the mirrors from an event hire company can save you money, on average they will cost $4 for a plain round 18" mirror and less if they are smaller. If the mirrors are an unusual shape like a hexagon and if they are bevelled which means that they have an edge to them they will cost on average $5. I don't think it is necessary to have a bevelled edge as it adds nothing to your centerpiece but it will add to your overall cost. Nor do I think you need an unusual shape. I would however spend a bit more to get a larger mirror rather than having something too small it is not noticed. 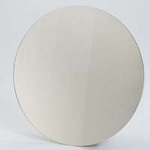 Buying your centerpiece mirrors from a wholesaler is a good way to save money as their prices per item are less. One wholesaler that will sell to individuals is Koyal Wholesale and they have a lot of mirrors that you can use for centerpieces. Some of them will cost you the same as if you are renting them round about $5 each, again the larger mirrors will cost more, they are currently $6 each. But the great thing about buying them is that you will be able to sell them after your wedding, so you will get some of your money back. The one thing I have noticed about selling wedding items is that those that sell quickly are the ones that are more "normal" so if you are looking to sell your mirrors go for ones that are pretty plain and 12" diameter maximum. Anything too big or too small won't be as popular. Here are their latest designs. 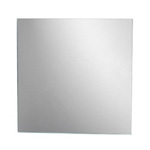 Square mirrors are available in 12" square, these look great on a square or rectangular table. There are not many weddings that use square tables! But if you are having a long table you could have these spaced along the table, creating several smaller centerpieces rather that one big one. Just having one of these on a long table would look lost. You could of course use these on a round table but to be honest I think it looks a bit odd! More informationn at Koyal Wholesale. The round mirrors are available in 10", 12", 14" and 16" diameter, the bigger the size you go for the more expensive they are and all sizes will look great on a round banquet table. If you are looking at placing a number of items on the mirror as part of your centerpiece then go with the larger size otherwise you won't see enough of the mirror. If you are planning on having maybe glass votives around the centerpiece that will extend the overall size without covering any of the mirror and therefore you can get a smaller size. More information at Koyal Wholesale. Decorative Centerpiece Mirrors, I am loving this style of mirror for wedding tables at the moment as they look very glamorous but without the expensive price tag! There are a few designs to choose from, all of which look great. More information at Koyal Wholesale. Which leads me nicely into the idea, you could be the bride buying second hand mirrors! You could buy from ebay or craigslist is worth checking. Here the prices will be about the same as buying wholesale which is great if you are selling but if you are buying you may want to buy new. Like everything that comes to weddings things can get expensive if they have the word wedding in their title. So rather than buying mirrors that are packaged for the wedding market you could buy almost the same mirrors but those that are used for tiles. Mirror tiles cost about $3 for a 10" tile and you can also get 12" too. You could also buy wall mirrors from thrift stores or the wiggly long mirrors from a home store for a different look to a long table. You can also buy mirrored vases if you still want the sparkle and wanted something more unusual. Plus they look very glamorous and expensive too! You can always make your own using small mirror tiles and tile adhesive. They probably won't be water tight so you will need to have a small jar in the homemade vase so you can use it for flowers! 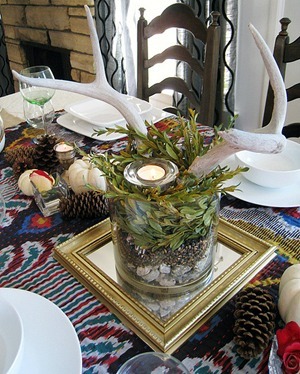 When it comes to adding items to the centerpiece you could use candles for the sparkle in glass votives. In fact anything in glass will look stunning on the mirror; you could have a glass vase filled with flowers; large wine glasses with floating candles, a glass bowl with floating candles, cylinder vases with submerged flowers and maybe a glass cake stand with your favors on top.